EaseUS CleanGenius is an online PC cleaner that features quite a few of handy options to keep your Windows clean and fast. It will help you clear out junk files conveniently. Unfortunately, CleanGnius (PC version) is out of service since 2015. What is the best PC cleaner alternative for? That is Windows Care Genius that I’ll reveal in this article. Tenorshare Windows Care Genius is highly advised as a World-class PC Clean and Speed Up Tool for Windows 10/8/7. 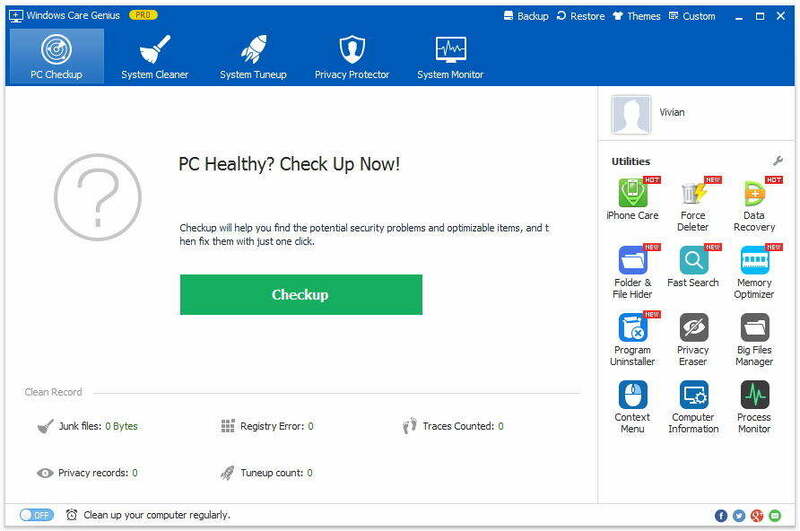 It is well-designed to be an all-in-one Windows systemcare tool that offers up to 22 powerful features to keep your PC clean, run fast and trouble-free. All you need to do is simply click once, the unwanted registry and junk files from your PC will be removed completely, which supports to protect your privacy from being risked and get best performance on your PC. Free download EaseusGenius altevative to clean Wimdows computer now. This brilliant PC clean-up removes all junk and unused files from your system, allowing Windows to run faster and freeing up valuable hard disk space. Scan every inch of your PC and automatically detect all junk files & useless files. 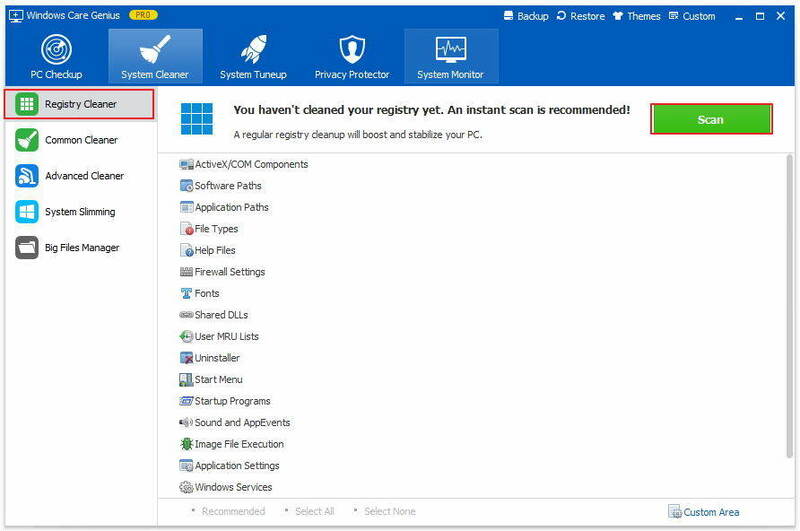 Inspect your registry and remove all invalid Windows registry entries. Clean up useless files like invalid shortcuts, traces, cache, cookies, passwords and Windows components. Clear any traces of your online activities such as your Internet history. Customize cleaning options as you like. After you download and install the software, launch it and choose “System Cleaner” that allows you to checkup and cleanup system junk files. System Cleaner consists of 5 powerful features. You are allowed to clean up registry, useless files and traces on computer, even disks. Here you can choose anyone based on your demand. Run the program and click System Cleaner and then choose Registry Cleaner. Click Scan to detect your computer. All the registries will be displayed. Click Clean to delete the all. Option 2: Common Cleaner: Clean useless files, download history, form history, etc. Launch the program and tap System Cleaner and then click Common Cleaner. Click Scan to start. After scanning, all the junk files and traces of existing programs will be found. Then click Clean to delete the all. Launch the program and tap System Cleaner and then click Advanced Cleaner. Set any or all hard drive you want to clean in Scan Location and click Scan. Finally click Clean to finish operation. Similarly, the fourth option of “System Sliming” and the fifth option of “Big Files Manager” can be conducted easily with a pretty intuitive interface to speed up your computer. After having a try on this free Easeus CleanGenius alternative, I hope you can share it with your friends who are looking for a cleaner alternative for their Windows computer.